The META-NET Executive Board directs META-NET's strategic orientation and safeguards the interests of all members. It ensures that META-NET is making satisfactory progress on its mission to forging META. Sophia Ananiadou is Professor of Computer Science in the School of Computer Science, the University of Manchester and director of the National Centre for Text Mining (NaCTeM). She holds a Ph.D. from the University of Manchester in Computational Linguistics, a D.E.A. in Linguistics from Paris VII, a D.E.A. in Literature from Paris IV Sorbonne and a B.A. in French Literature and Linguistics from the University of Athens. Her main contributions are in the areas of computational terminology and biomedical text mining. She has been co-director (2004-2007), then director of NaCTeM since 2007. Her research includes the development of annotated corpora and large-scale terminological resources for biomedicine, event extraction for biomedical text mining services such as search and pathway reconstruction. She has been the PI for several projects related with the development of text mining tools for biomedicine, education, chemistry, social sciences, and health. She received the UIMA Innovation Award in 2006, 2007, 2008 for her work in promoting text mining interoperability infrastructure. Her team provides text mining functionalities for Europe PubMed Central. She has acted as conference chair for IEEE International Conference on Healthcare Informatics (2013) and co-chair for Semantic Mining in Biomedicine (2012 & 2006). She is a founding member of the ACL SIG in Biomedical Natural Language Processing and has been active in co-organising the ACL BioNLP workshops and associated shared tasks since 2003. She has co-authored more than 230 publications in peer-reviewed journals and conferences. Tenured Associate Professor at the Department de Traducció i Ciéncies del Llenguatge of the Universitat Pompeu Fabra (UPF) and Senior Researcher at the Institut Universitari de Lingüstica Aplicada (IULA), also, of the UPF, since 2003. Her area of research is Natural Language Processing. Her current interests are mainly related to the automatic acquisition of Language Resources. She is the director of the IULA research group Technologies of Language Resources. Her current lines of research are related to tools for the automatic acquisition of lexical information, area in which she has different international publications. She is actively involved in the standardization of LR’s and participates as an expert at the ISO TC37/SC4 group. She is also involved in the deployment of European research infrastructures for the Humanities and Social Sciences and actively participates in CLARIN and DASISH initiatives. She has participated in more than 20 EU and national funded research projects related to Language Resources, the most relevant being: MULTEXT (LRE62050), LSGRAM (LRE61029), PAROLE (LE2-4017), as Technical Manager in SIMPLE (LE4-8346), LIRICS (e-content 22236) where she participated in the design of the Lexical Markup Model (LMF), FLARENET (ECP-2007-LANG-617001), and METANET4U Enhancing the European Linguistic Infrastructure, (CIP-PSP-270893). She was the coordinator of the PANACEA project: Platform for the Automatic, Normalized Acquisition of Language Resources for Human Language Technologies (7FP-ITC-248064). PANACEA has developed a web service based platform to deploy and use technologies for the automation of all stages involved in the acquisition, production, updating, validation and maintenance of Linguistic Technologies and Resources. He obtained his PhD in Informatics in 1999 from the University of Lisbon. He is the (co-) author of over 100 publications in the area of language science and technology and has participated in over 20 R&D national and international projects, seven of which he was the Principal Investigator. He is a member of several program committees for international conferences and a reviewer for international conferences and journals. He was the coordinator of the European project METANET4U, integrating the R&D network of excellence META-NET, and currently he is coordinating the European project QTLeap-Quality Translation with Deep Language Engineering Approaches. He is the coordinator of the MSc program on Cognitive Science of the University of Lisbon, and a faculty member of the Department of Informatics, Faculty of Sciences, University of Lisbon. He was the founder and is the head of research of the NLX Group, the Natural Language and Speech Group of the Department of Informatics, University of Lisbon. Recently he has been mostly involved in the development of a deep linguistic processing grammar of Portuguese and its companion set of dynamic treebanks. He is the national coordinator of the Portuguese CLARIN research infrastructure project. Koenraad de Smedt studied English and Linguistics at the University of Antwerp (Belgium) where he received his degree in 1977. He became a researcher, first in Antwerp and from 1983 in Nijmegen (The Netherlands) in the areas of computational linguistics, psycholinguistics and language technology. In 1985 he became lecturer at the Dept. of Experimental Psychology in Nijmegen, where he obtained his PhD in 1990 with a dissertation titled Incremental sentence generation: A computer model of grammatical encoding. In 1993 he moved to Leiden University. Since 1995 he has been professor in Computational Linguistics at the University of Bergen (Norway). His research interests are in models of human language processing, computational linguistics, language technology including multilingual technologies, and higher education strategies. In recent years he has focused on treebanking, an area in which he led an advanced research project from 2004 to 2008. He has also recently become involved in and transnational researcher training and from 2002 to 2008 he coordinated two consecutive Marie Curie training sites on multilingual knowledge tools. Marko Grobelnik is an expert in the areas of analysis of large amounts of complex data with the purpose to extract useful knowledge. In particular, the areas of expertise comprise: Data Mining, Text Mining, Information Extraction, Link Analysis, and Data Visualization as well as more integrative areas such as Semantic Web, Knowledge Management and Artificial Intelligence. Marko was employed as a researcher first, at “University of Ljubljana”, “Computer Science Department”, and later at “Department of intelligent systems” and “Department for knowledge technologies” at “Jozef Stefan Institute” in Ljubljana, Slovenia. He is currently employed at “Jozef Stefan Institute” the main national research institute for natural sciences in the country. Jan Hajič is a full professor of Computational Linguistics and the head of the Institute of Formal and Applied Linguistics at the School of Computer Science at Charles University in Prague. His interests cover morphology of inflective languages, machine translation, deep language understanding, and the application of statistical methods in natural language processing in general. He also has an extensive experience in building annotated language resources. His work experience includes both industrial research (IBM Research Yorktown Heights, 1991-1993) and academia (Charles University in Prague and Johns Hopkins University, Baltimore, MD, USA). He has published more than 60 papers both internationally and nationally. He has been the PI or Co-PI of several national and international grants and projects, most notably the large Czech Grant Agency grant for Large Corpora (2001-2005), and the U.S.-based large ITR project Malach (coordinated by the Visual History Foundation, Los Angeles, CA, USA). Currently he is the main PI of the Centre for Computational Linguistics, and a panel member of several grant agencies, including the USA-based National Science Foundation. He has served on many Programme Committees for international conferences and has been involved in the organisation of several of them, most notably the EMNLP 2002, ACL 2007, EMNLP 2007 and he is the General Chair for the ACL 2010 conference. Currently he is a member of the Committee for Social Sciences and the Humanities of the Research Council of the Government of the Czech Republic and a member of the Research Board of the Technological Grant Agency of the Czech Republic, and also a member of the Scientifc Board of the Faculty of Mathematics and Physics of the Charles Univeristy in Prague. He has also served in the past for four years at the TEI Board of Directors, and for one term in the European ACL Executive Board. Monica Monachini is a senior researcher and coordinates the Language Resources (LRs) and Infrastructure group at CNR-ILC. Her research interests include: methods and models for the con-struction, annotation and validation of LRs and the extraction and representation of linguistic information, with a special interest in NLP lexica; the use of LRs in applications; the interface between comp. lexicons and ontologies, especially on the Semantic Web. She is an expert in the ISO TC37 SC4 working groups and a national delegate for UNI (Unification National Board) and the representative for CNR-ILC in the board of W3C-Italy. Monica has participated in several EU funded research projects. Recently she has been involved in the W3C MultilingualWeb project and more applied aspects of semantic technologies that exploit structured knowledge bases in order to extract events, facts, and relations from digital content (FP7-ICT-KYOTO; FP7-ICT-PANACEA; FP7-ICT-OpeNer). At an infrastructural level, she has contributed to EU-CLARIN and in META-NET/META-SHARE as part of the metadata group. She has published over 150 articles in journals, books and conferences and organized several scientific events as well as currently serving on a number of international committees. Senior Researcher at ILSP, RC "Athena" and Head of Natural Language Processing and Knowledge Extraction Department. President of the European Language Resources Association (ELRA), national scientific coordinator for the CLARIN Research Infrastructure, member of the LREC Programme Committee, member of the FLaReNet Steering Committee and the META-NET Executive Board, coordinator of the META-SHARE infrastructure under development in the framework of META-NET. Coordinator of European research projects of ILSP, RC "Athena" and site manager for ILSP’s participation in more than 25 R&D projects in the areas of mono/multilingual and multimedia information processing. Lecturer of postgraduate courses on Language Technology and Logic at the NTUA-University of Athens. His research interests include statistical and deductive methods in natural language processing and understanding, language resources and automatic linguistic knowledge elicitation, machine translation and philosophy of language. Georg Rehm works at DFKI, the German Research Center for Artificial Intelligence, in Berlin. Together with Hans Uszkoreit he coordinates META-NET, a Network of Excellence forging the Multilingual Europe Technology Alliance. He holds an M.A. in Computational Linguistics and AI, Linguistics and Computer Science (University of Osnabrück) and a PhD in Computational Linguistics (University of Giessen). During his studies he worked as a freelancing consultant for multiple companies and as a sound technician for various bands. After completing his PhD he worked, from 2006 to 2008, as a researcher at the University of Tübingen, leading a project on the sustainability of linguistic resources. In 2009, Georg worked as a Product Manager at the internet startup vionto GmbH (Berlin) where he was responsible for product development, language technology and also did a little bit of strategy development, sales and social media marketing, especially in the context of the award-winning visual semantic search engine eyePlorer. Georg joined DFKI in early 2010. Georg is (co-)author or (co-)editor of more than 100 research publications. His main research topics are all aspects of language resources (data formats, metadata, sustainability, sharing, legal issues, standardisation), markup languages for NLP, ontologies, text and document structure recognition, and text as well as web genres and their automatic identification. Mike Rosner teaches at the Department of Intelligent Computer Systems at the University of Malta. He gives lectures in Programming in Java, Fundamentals of Object Orientation using Java, Computational Linguistics, Human Language Technology and Computational Semantics. Mike Rosner participated in projects like MLRS Maltese Language Resource Server and LT4eL. The current projects which Mike Rosner is involved in are CLARIN (FP7 Infrastructures) and MPROM (University of Malta). Tamás Váradi graduated from Eötvös Loránd University in English, Spanish and General and Applied Linguistics in 1976. His interests later turned to Computational Linguistics. 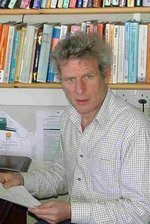 In 1990 he spent a year as visiting scholar at Lancaster University where he worked on the compilation of the Parsed LOB Corpus. Between 1991-1995 he taught at London University and worked on the MARSEC project with Lancaster University. Founded the Department of Corpus Linguistics at RIL in 1997 and has actively joined the European scene participating in a series of projects (MATCHPAD, TELRI, CONCEDE, CACAO). He is one of the initiators of the CLARIN infrastructure project and currently coordinates the CESAR project as part of the META-NET community as well as the iTranslate4 project. Andrejs is the co-founder and chairman of the board of the leading Baltic language technology company Tilde. He received a Ph.D. in computer sciences from the University of Latvia for the thesis work on terminology management. Andrejs is the coordinator of the META-NORD project and takes a leading role in the EU R&D cooperation projects ACCURAT (FP7) and LetsMT! (ICT-PSP). He is also a member of the Intergovernmental Council and Bureau for the UNESCO Information for All Programme (IFAP) and a member of the State Language Commission of Latvia. François Yvon is Professor of Computer Science at University Paris-Sud and leads the research in Machine Translation in the Spoken Language Processing group of LIMSI/CNRS. As of july 2013, he is also director of the laboratory. He was previously (1996-2007) Associate Professor in the department of Computer Science at Ecole Nationale Supérieure des Télécommunications (now Telecom ParisTech), and also, for one year, visiting scientist in the Speech Processing group in the IBM TJ Watson Research Center in NY. His main research interests include analogy-based and statistical language learning, speech recognition and synthesis, and statistical machine translation. François is the (co-)author of over 150 publications in the aera of speech and language processing and has been involved in over 20 national and European projects, including recently Quaero, META-NET and Quality Translation 21. François Yvon holds a Ph.D in Computer Science and engineering degrees from Ecole Nationale Supérieure des Télécommunication, Ecole Nationale de la Statistique et de l'Administration Economique and Ecole Polytechnique. Joseph Mariani is a senior researcher at CNRS-LIMSI. His research relates to the processes of multimedia and multimodal human-machine communication, spoken language processing and language technologies (language resources and evaluation). He was director of LIMSI from 1989 to 2000, and head of the Human-Machine Communication department. He then directed the Information and Communication Technologies department at the French Research Ministry from 2001 to 2006, where he launched the Techno-Langue national programme on language technologies, focusing on resources, evaluation, standards and survey. He is now director of the Institute for Multilingual and Multimedia Information (IMMI). He served as president of ESCA, ELRA and of the CNRS ICT Advisory Committee, and as a member of the CNRS Scientific Council and Committee of Ethics, of the INRIA Evaluation Committee, and of the ELSNET and FLaReNet Boards. Adam Przepiórkowski is an associate professor and the head of the Linguistic Engineering Group (LEG) at the Institute of Computer Science, Polish Academy of Sciences (ICS PAS). At the same time he serves as an associate professor at the Institute of Informatics of the University of Warsaw. Adam Przepiórkowski graduated from the University of Warsaw in Computer Science in 1995. He obtained his PhD in Linguistics from the University of Tübingen in Germany in 1999 and his PhD in Computer Science from the Polish Academy of Sciences in 2000. Adam Przepiórkowski's interest and experience include Natural Language Processing and Computational Linguistics such as deep and shallow parsing of Polish, corpus linguistics, information extraction and machine learning methods in NLP. In Theoretical Linguistics, Adam is interested in the syntax of Polish, linguistic formalisms, linguistic formalisms and semantics (especially HPSG). Hans Uszkoreit is Professor and Chair of the Department of Computational Linguistics and Phonetics at Saarland University. At the same time he serves as Scientific Director at the German Research Center for Artificial Intelligence (DFKI) where he heads the DFKI Language Technology Lab. Uszkoreit studied Linguistics and Computer Science at TU Berlin. In 1977, he received a Fulbright Grant for continuing his studies at the University of Texas at Austin. During his time in Austin he also worked as a research associate in a large machine translation project at the Linguistics Research Center. In 1984 Uszkoreit received his Ph.D. in linguistics from the University of Texas. From 1982 until 1986, he worked as a computer scientist at the AI Center of SRI International in Menlo Park, Ca. While working at SRI, he was also affiliated with CSLI (Stanford University) as a senior researcher and later as a project leader. In 1986 he spent six months in Stuttgart on an IBM Research Fellowship at the Science Division of IBM Germany. In December 1986 he returned to Stuttgart to work for IBM Germany as a project leader in the project LILOG (Linguistic and Logical Methods for the Understanding of German Texts). At the same time he also taught at the University of Stuttgart. In 1988 Uszkoreit was appointed to a newly created chair of Computational Linguistics at Saarland University and started the Department of Computational Linguistics and Phonetics. In 1989 he became the head of the newly founded Language Technology Lab at DFKI. Uszkoreit is Permanent Member of the International Committee of Computational Linguistics (ICCL), Honorary Professor at TU Berlin, Coordinator of the International Erasmus Mundus Masters Program in Language and Communication Technologies, Member of the European Academy of Sciences and serves on several international editorial and advisory boards.